Bruce ‘Buck’ Davidson (photo courtesy of Mike McNally). Buena Vista, VA (April 27, 2016) – The Rolex Kentucky Three-Day Event, presented by Land Rover, is almost upon us, and World Equestrian Brands is looking forward to celebrating many of its top sponsored riders at this highly anticipated annual event. The year 2016 is a big year at Rolex for World Equestrian Brands, the Virginia-based distributer of top brands Vespucci, Amerigo, E. A. Mattes, and Equilibrium. World Equestrian Brands’ sponsored riders Bruce ‘Buck’ Davidson Jr., Kim Severson, Allison Springer, and Alexandra Knowles are all competing in this premier North American CIC 4* Eventing competition. World Equestrian Brands will also be partnering with the fan-favorite website, Eventing Nation, for a tailgating party during the competition. The prestigious Rolex Kentucky Three-Day Event CIC4* will be held April 28 – May 1, 2016. The competition is held every year at the Kentucky Horse Park in Lexington, Kentucky, and draws record number crowds. Top international horse and rider combinations will be vying for an opportunity to win a piece of the competition’s $350,000 prize, as well a chance to prepare their horses to potentially be chosen to represent their countries at the 2016 Olympic Games, to be held in Rio de Janeiro, Brazil. Buck Davidson, the alternate for the 2012 U.S. Olympic Team, has three horses that will compete at the Rolex Kentucky Three-Day Event – Copper Beach, Petite Flower, and Park Trader. Davidson, whose many accomplishments include being the #1 Ranked Eventing Rider in the United States in 2011, competing in the Pan American Games in 2011, and being the #2 Ranked Eventing Rider in the United States in 2010 and 2009, runs a training and competition facility during the winters in Ocala, Florida and in the summers in Riegelsville, Pennsylvania. Kim Severson has won the Rolex Kentucky Three-Day Event three times and is hoping to make 2016 a fourth. Severson has competed internationally on Olympic teams and in World Equestrian Games. This year, Severson is making the trek to the Kentucky Horse Park with her own Fernhill Fearless, a 16-year-old Irish Thoroughbred gelding. 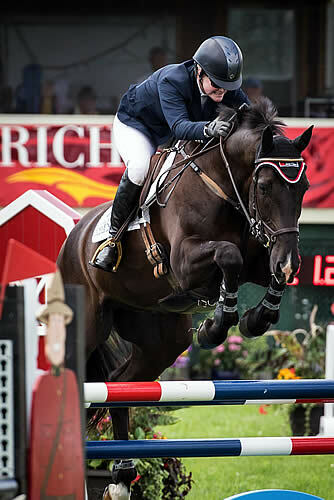 Allison Springer, from Upperville, Virginia, is bringing the Team Arthur Syndicate’s 17-year-old Irish Thoroughbred gelding, Arthur, to Rolex for the fifth time. The pair has had a successful partnership since 2007, and has competed around the world, most recently in the Carolina Horse Trials CIC3* Advanced. There, Springer and Arthur triumphed out of a tough field of 70 competitors. They are listed as a top pair to watch in the upcoming Rolex CIC 4* competition. Alexandra ‘Allie’ Knowles will be competing Sound Prospect at this year’s Rolex event. Knowles competed in her first Rolex Kentucky CIC4 * event in 2013 and has been one to watch in upper level competitions ever since. Sound Prospect is one of four Thoroughbreds in this year’s competition, and the pair seems in top form after placing second in the CCI 3* event at Galway Downs at the end of 2015. While keeping an eye on the exciting riding that will be taking place, World Equestrian Brands will also be helping to sponsor Eventing Nation’s “Insanity in the Middle” Rolex Tailgate Party, presented by Amerigo, all day on Saturday during the Cross-Country competition. The public is invited to attend this fun-filled party that will host Jimmy Wofford and his Top Dog contest. Spectators who are interested in learning more about the cross-country portion of the event can meet at the head of the lake to participate in a course walk with Allie Knowles and Sharon White on Friday evening at 5:30. 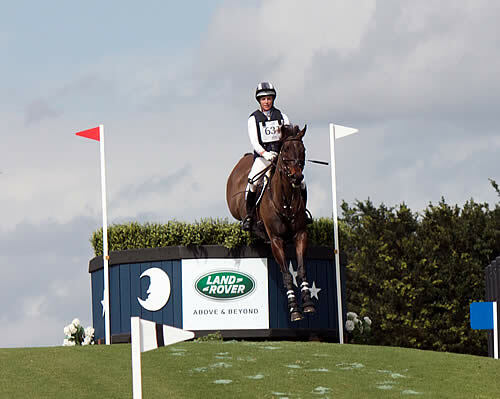 “We are really excited to be partnering with Eventing Nation on the tailgate party at Rolex this year! I hope everyone will stop by for the opportunity to win some prizes from Vespucci and Equilibrium and catch up on all the action of the event,” says Robin Moore, CEO of World Equestrian Brands. World Equestrian Brands distributes popular tack and equipment throughout North America from the brands Amerigo, Vespucci, Equilibrium, and E. A. Mattes. For more information about this premier distributor of high-quality equestrian brands, visit www.worldequestrianbrands.com. For more information on the 2016 Rolex Kentucky Three-Day event, visit www.rk3de.com.